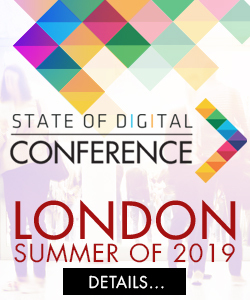 In 2015 State of Digital is organising a very special summer series. This year we are asking the youngsters in the digital marketing industry to tell us their experiences! A group of young talented digital marketers has signed up and we will be sharing their experiences with you throughout the summer. Below you can find an overview of all the articles so far. At the end of the summer we will also announce winners! The posts are judged by a team of experts, from all over the world, from outside and inside State of Digital, but all knowledgeable. They will be judging the entries on originality, writing style, content and overall likeability of the post. You also have a say! Vote by sharing the article and we will calculate an average number of shares per day for each article, which is part of the vote! Here are all the posts! Know about what is changing in marketing! Keep up with the latest digital marketing developments, views and how-tos through State of Digital’s digest newsletters. Be the first to hear about events, white papers, e-books, webinars, training and more!